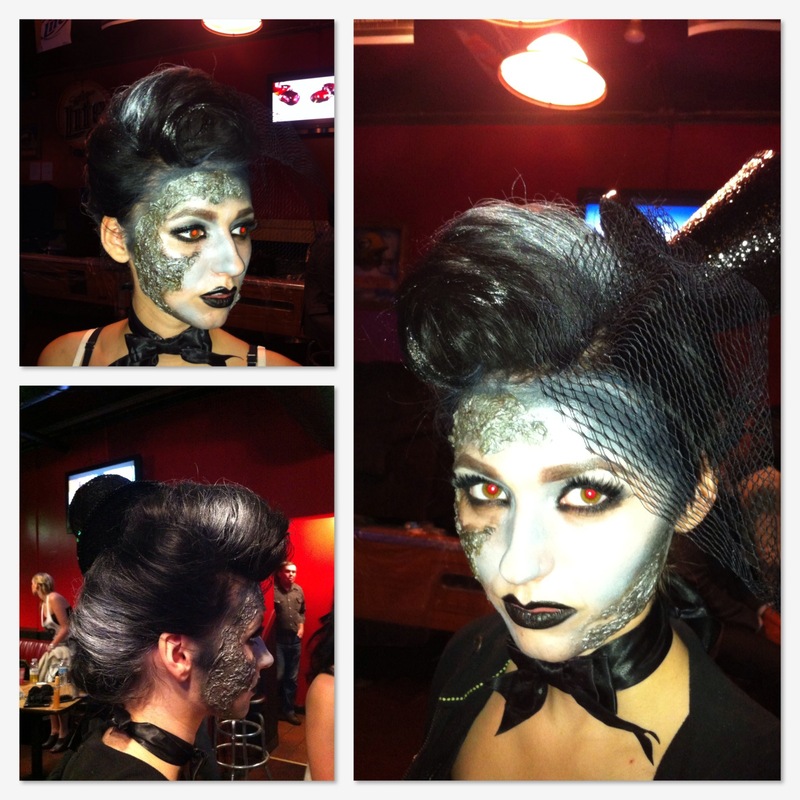 My weekend recap from a local fashion show, and a professional hair show. Last weekend was a full on beauty weekend for me! I was involved in the "Runway to L.A. Benefit and Fashion Show" on Saturday October 13th, located at the Checker bar Food & Liquor in St. Paul MN. 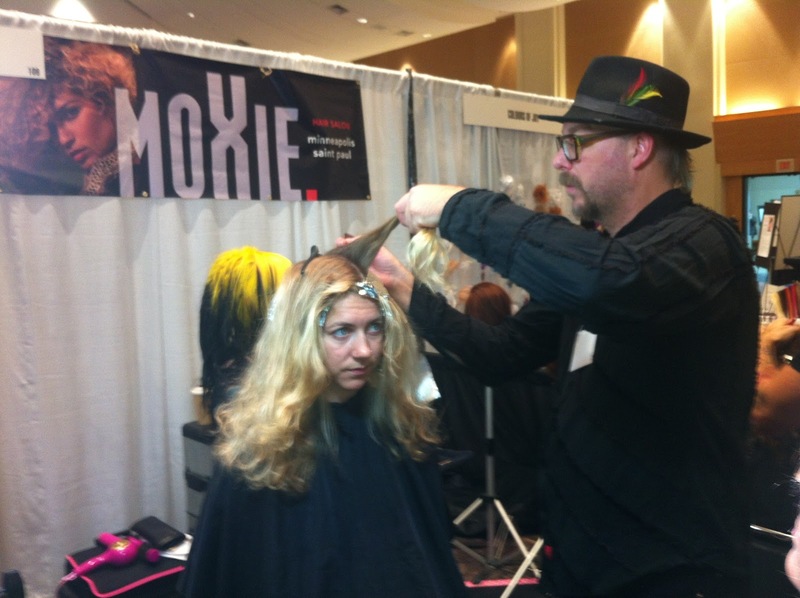 I then participated in the In Salon hair show with Moxie Hair Salon both days on Sunday and Monday October 14th-15th. 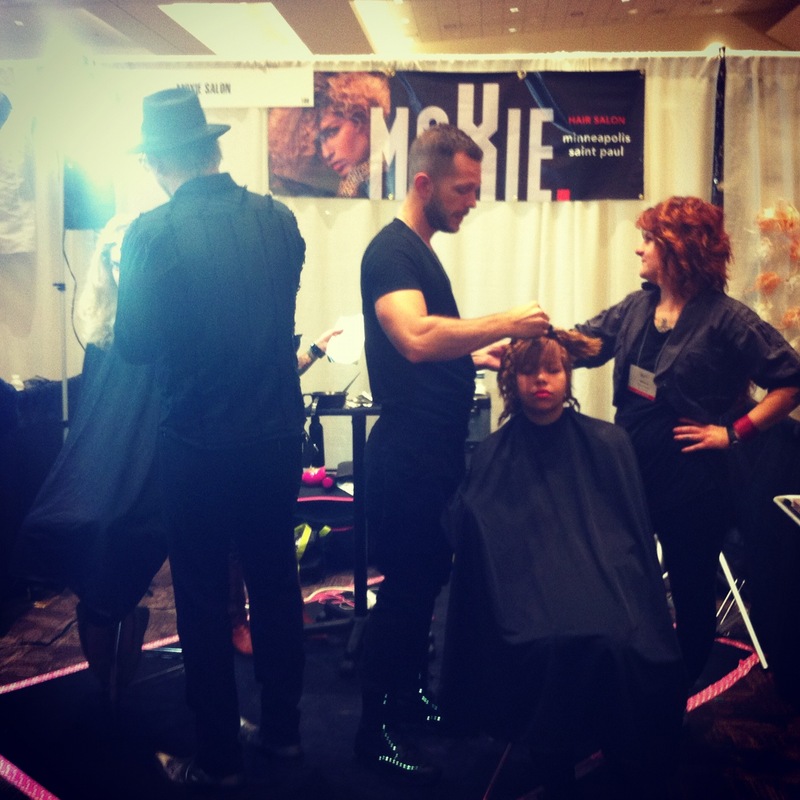 The In Salon hair show was located at The River Centre in St. Paul. 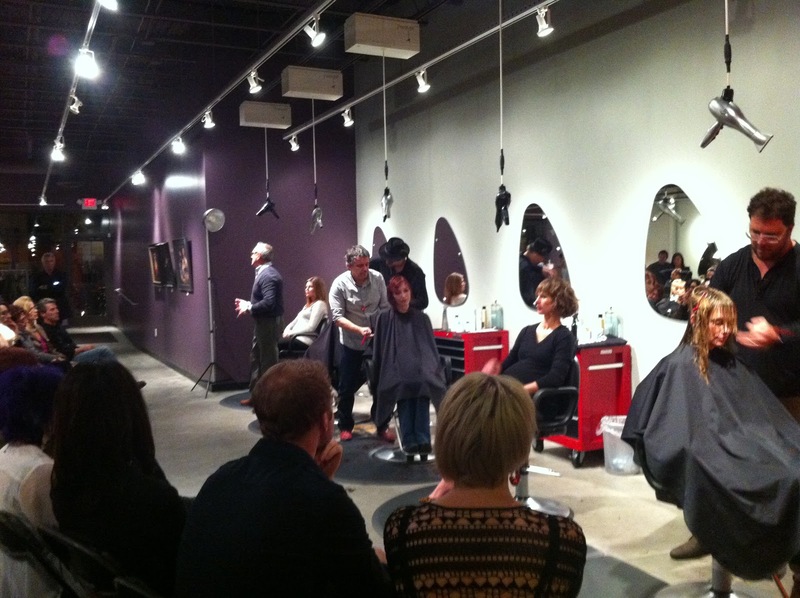 Moxie Hair Salon also hosted Nick Arrojo's Happy Monday seminar Monday night, which is a one day free education once a month on a Monday. On Saturday, October 13th. For the "Runway to L.A. Benefit and Fashion Show" I helped my friend Alex Thao, who is also a hairdresser, with styling hair for one the designer's look. Alex and her friend Sai Chang who is a designer are moving to L.A. to follow there dream. 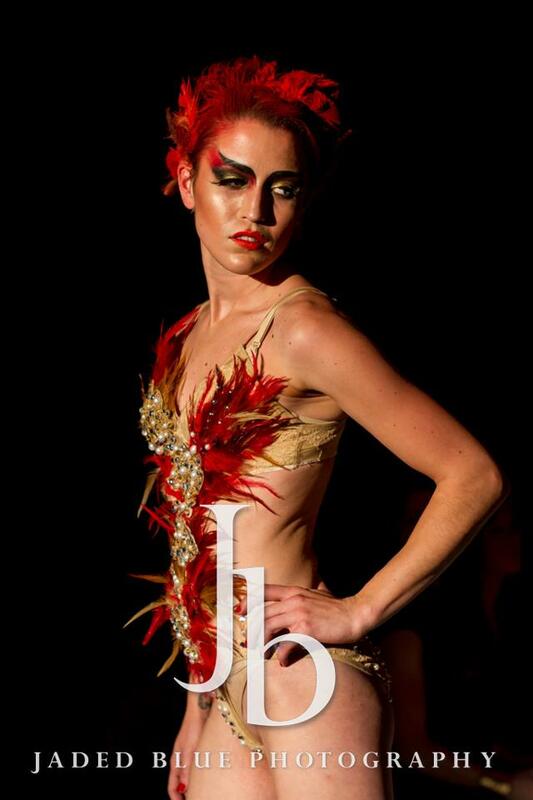 The designer I styled hair for was Teaser by Yuli X. Yuli is a lingerie designer, customized made lingerie pieces. I used some hair extension and synthetic hair to create exaggerated volume in the model's hair. I gave each model their own look from what their outfit look was. Makeup was done by Oscar Ly and Dena Saycocie. oh hey, it's me doing my thing! Sunday and Monday, October 14th and 15th. I took part of the In Salon hair show with Moxie Hair Salon to educate other professional hairdressers at the River Centre in St. Paul. We educate at classes and on a main stage. I have been part of this show since I was a cosmetology student with the S.W.A.T. team, which stands for Students With Awesome Talent. 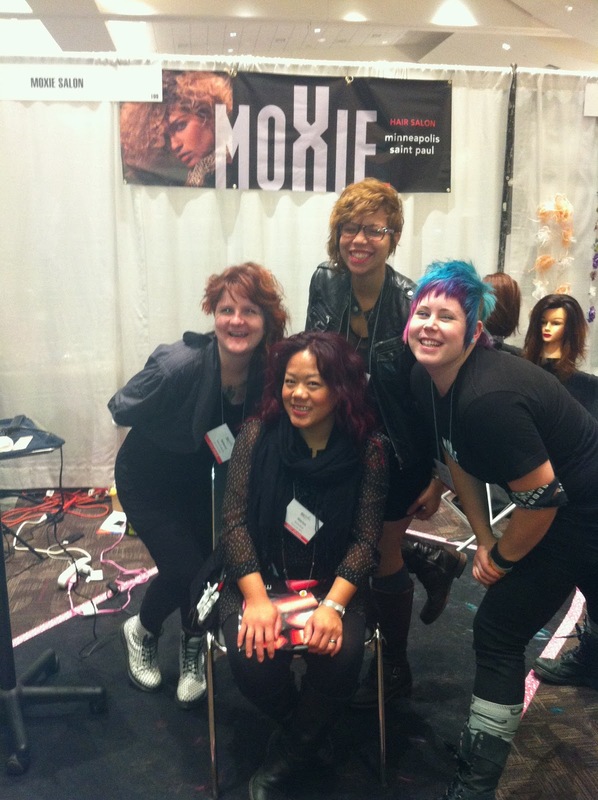 Now that I am a Master stylist and educator for Moxie Hair Salon, I take part every year with the salon. It is always a lot of work and time for us, but I love every bit of it! 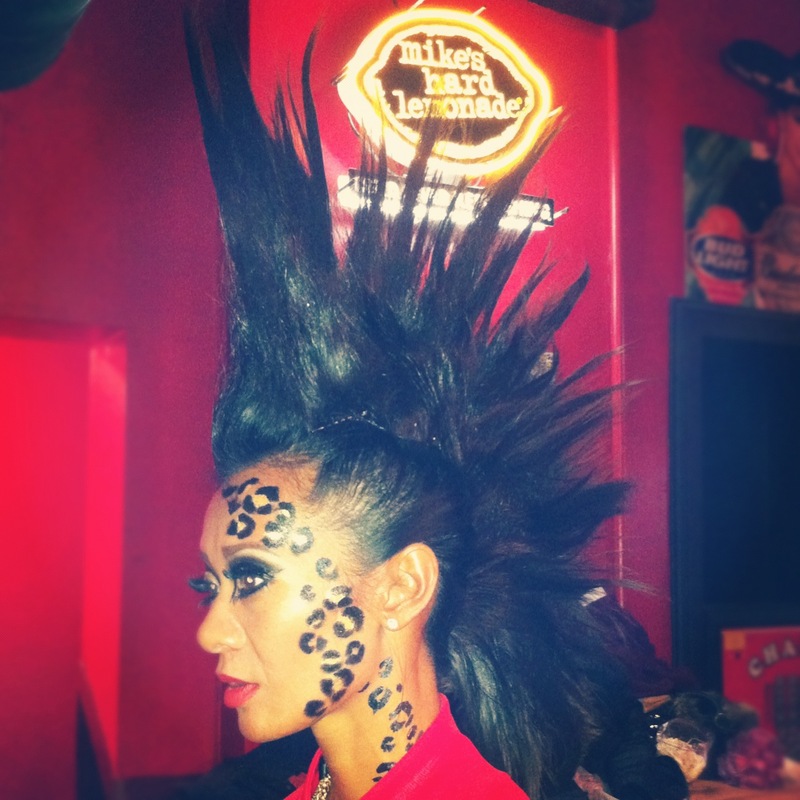 Nick Arrojo and his team were at the hair show to also do the same thing. 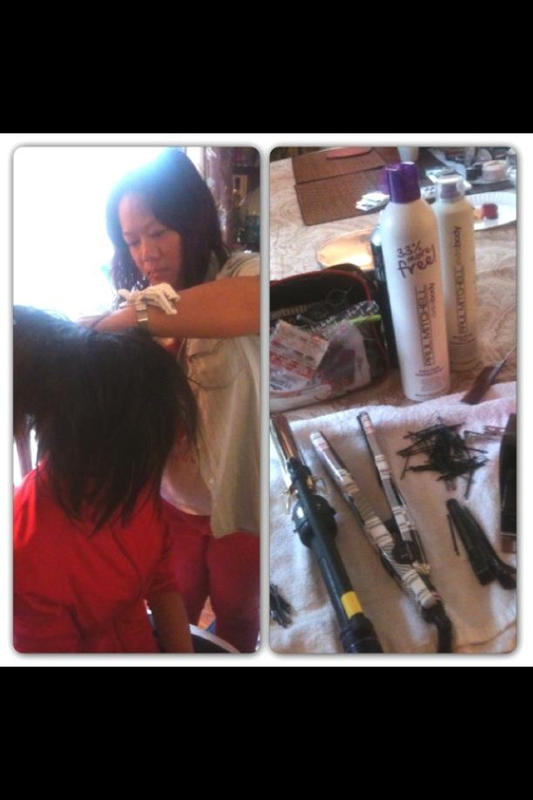 Since Moxie Hair Salon is an Arrojo Ambassador Salon now, we supported them and they did the same. 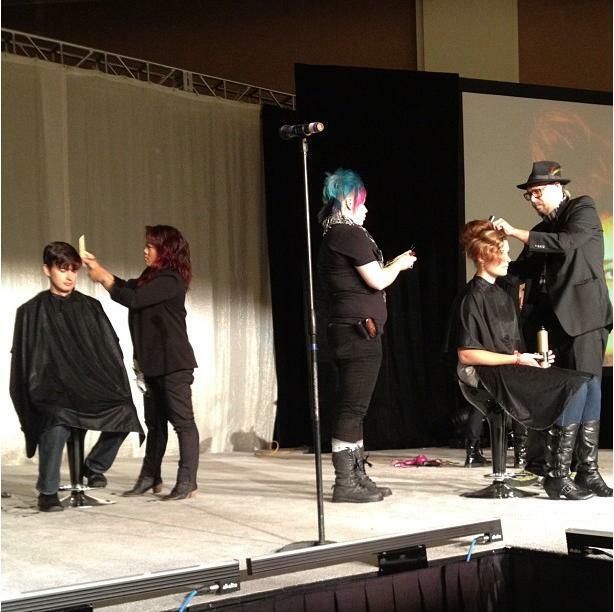 There is a fundraiser show every year on the first day of the In Salon hair show called The Ultimate Style Show. We as the Moxie team take part of that every year. 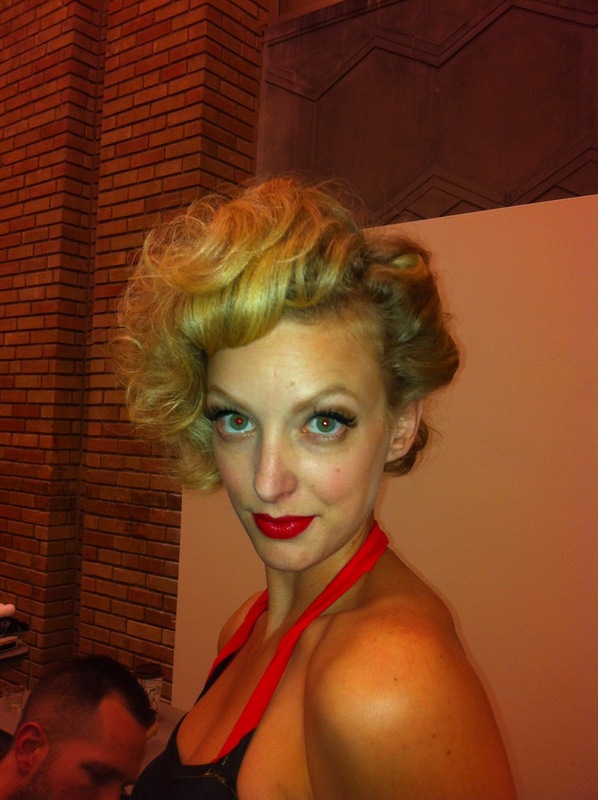 Each year we have a different theme, this year we did a 1950's pin-up girl theme. Our models looked amazing! 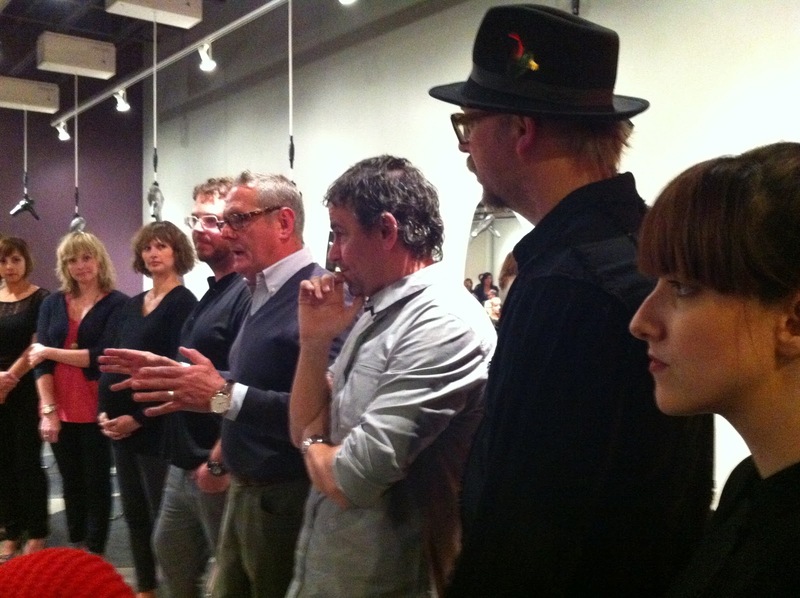 Moxie Hair Salon also hosted Nick Arrojo's Happy Monday, which is a one day free education once a month on a Monday. Some co-workers and I helped with assisting at the Happy Monday Seminar. 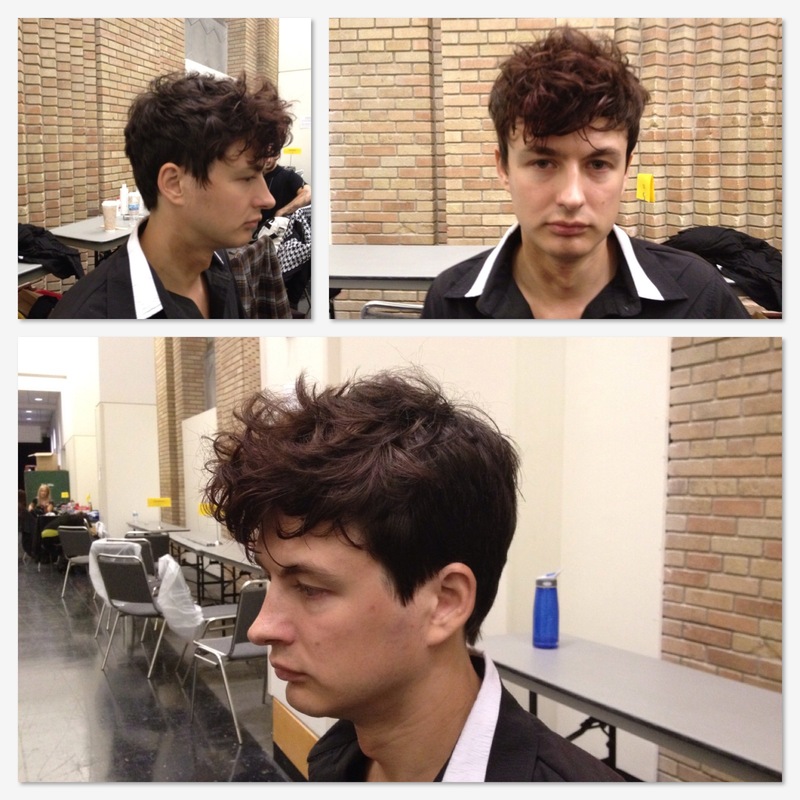 Moxie Team on main stage, me cutting hair on a male model, Claire assisting Stephen Adams. Moxie team in the booth, Stephen Adams, Brentt Flammang, Amber Phillips and Becca Rode. 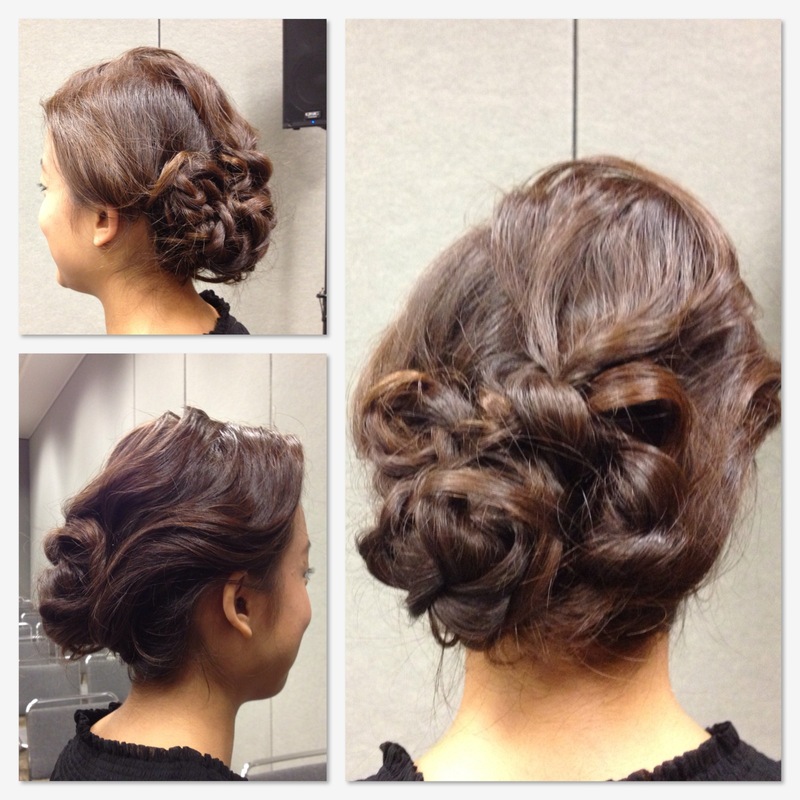 My beautiful upstyle on model Nikki. Us Moxie girls at the Moxie booth, Becca, me, Amber and Claire. Stephen Adams demonstrating a partial foil at the Moxie booth. 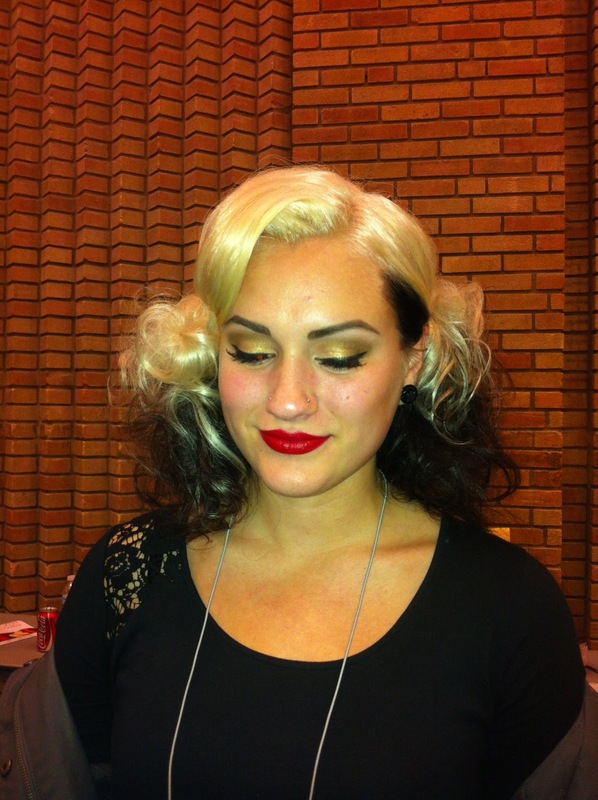 Our Moxie Models 1950's pin-up style for the Ultimate Style Show. 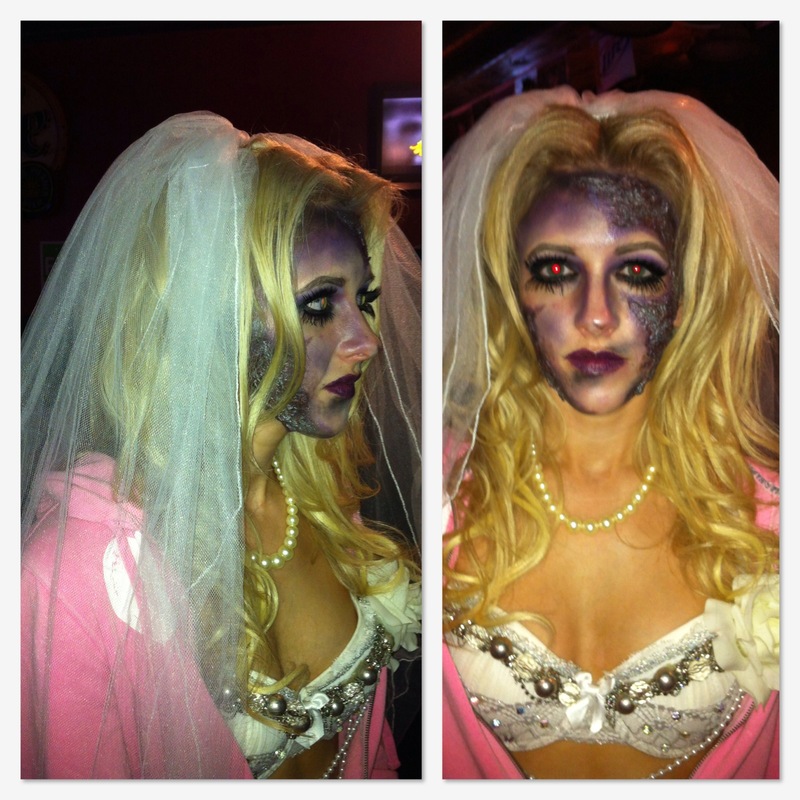 All makeup done by Marina Moua (me), Hair by the Moxie Team, and bathing suits by Trixie Esser. Makeup by Marina Moua (me), hair by Becca Rode. Makeup by Marina Moua (me), hair by Moxie team. 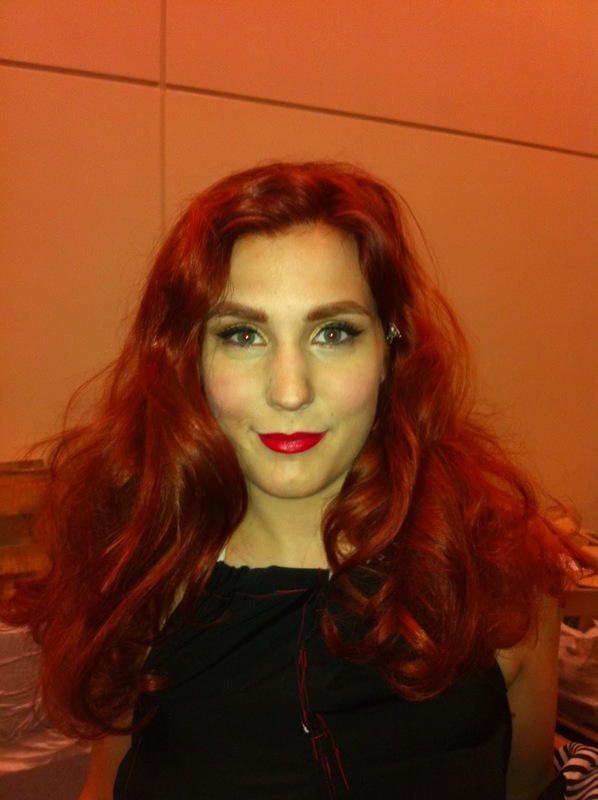 Makeup by Marina Moua (me), hair by Claire. Happy Monday seminar with Nick Arrojo at the Grand Ave Moxie location. I hope you all enjoyed my weekend recap!!! Thank you! !